Dr. Daniel is a Cancer Biologist with expertise in breast cancer, racial disparities in cancer, and diversity issues in higher education. 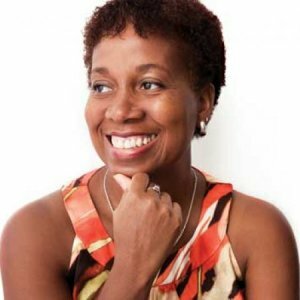 Dr. Juliet Daniel is a Professor in the Department of Biology at McMaster University. Dr. Daniel received her B.Sc. from Queen’s University (Kingston), her Ph.D. from UBC (Vancouver) and completed postdoctoral fellowships at St. Jude Children’s Research Hospital and Vanderbilt University in Tennessee. 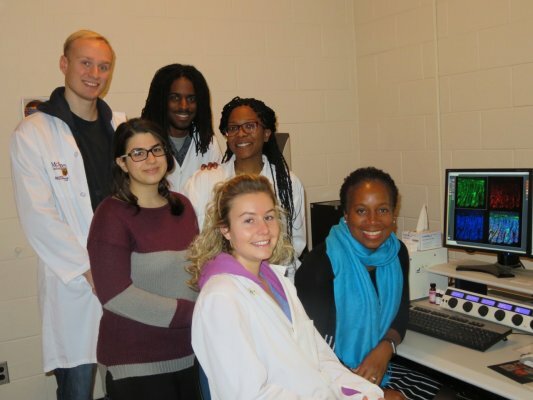 At McMaster, Dr. Daniel’s research team focuses on understanding how disruptions in cell-cell adhesion and signaling contribute to cancer initiation and progression. 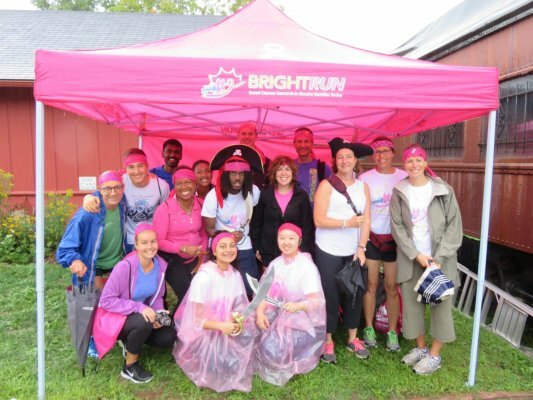 Dr. Daniel is most interested in the aggressive triple negative breast cancer (TNBC) subtype that is associated with poor prognosis due to an absence of specific therapies. Intriguingly, young pre-menopausal women of African ancestry have a higher TNBC prevalence and mortality compared to other ethnicities despite a lower incidence and lifetime risk of breast cancer. Since socio-economic status does not fully explain the racial disparity in TNBC prevalence and mortality, Dr. Daniel's research team seeks to identify unique biomarkers or gene mutations that may explain this racial disparity. 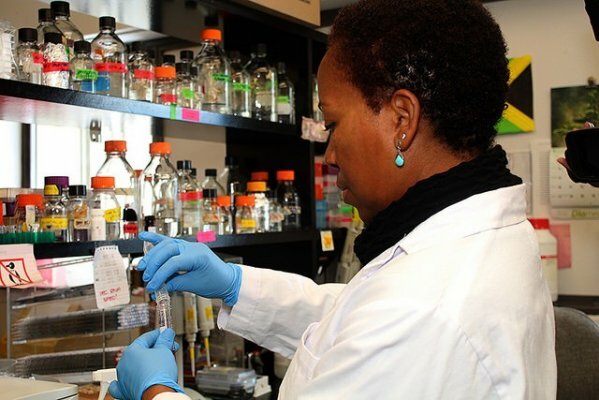 Her team will utilize genetic, genomic, molecular and cell biology techniques to analyze TNBC tissues from populations of shared African ancestry (Caribbean and West Africa) to identify genetic risk factors that can be used as biomarkers to diagnose or develop therapies for TNBC patients worldwide. POZ-ZF transcription factors in signaling and development. Role of Kaiso in HIF-1α expression and function in hypoxia and tumorigenesis. POZ-ZF transcription factors in cell adhesion and development. Roles of the bimodal transcription repressor Kaiso in cell proliferation & Wnt signaling. The bimodal transcriptional repressor Kaiso: mechanisms of gene regulation. The catenin p120ctn as an importin for the transcription factor Kaiso: novel regulators of cell adhesion and tumourigenesis? Defining the role of Kaiso, a POZ-zinc finger transcription factor and p120ctn- binding protein in cadherin-mediated cell adhesion and signalling. Chaudhary R, Pierre CC, Nanan K, Wojtal D*, Morone S, Pinelli C, Wood GM, Robine S and Daniel JM. The POZ‐ZF transcription factor Kaiso (ZBTB33) induces inflammation and progenitor cell differentiation in the murine intestine. (2013) PLoS ONE 8(9): e74160. Donaldson NS, Pierre CC, Anstey MI, Robinson SC, Weerawardane S and Daniel JM. Kaiso represses the cell cycle gene cyclin D1 via sequence-specific and methyl-CpG-dependent mechanisms. (2012) PLoS ONE 7(11): e50398. Vermeulen JF, van de Ven RAH, Ercan C, van der Groep P, van der Wall E, Bult P, Christgen M, Lehmann U, Daniel JM, van Diest PJ and Derksen PWB. Nuclear Kaiso Expression is associated with High Grade and Triple-Negative Invasive Breast Cancer. (2012) PLoS ONE 7(5): e37864. Donaldson NS, Nordgaard CL, Pierre CC, Kelly KF, Robinson S, Swystun L*, Henriquez R*, Graham M and Daniel JM. Kaiso regulates Znf131-mediated transcriptional activation. (2010) Exp. Cell Res. 316: 1692-1705. Brown ST, Kelly KF, Daniel JM and Nurse CA. Hypoxia inducible factor (HIF)-2α is required for the development of the catecholaminergic phenotype of sympathoadrenal cells. (2009) J. Neurochem. 110: 622-630.
erber EC, Kajita M, Wadlow A, Tobiansky L, Niessen C, Ariga H, Daniel J, Fujita Y. A role for the cleaved cytoplasmic domain of E-cadherin in the nucleus. (2008) J. Biol. Chem. 283:12691-12700. Donaldson NS, Daniel Y*, Kelly KF, Graham M and Daniel JM. Nuclear trafficking of the novel POZ-ZF protein Znf131. (2007) BBA- Mol. Cell Res.1773: 546-555. Daniel JM. Dancing in and out of the nucleus: p120ctn and the transcription factor Kaiso. (2007) BBA- Molecular Cell Research Special issue “The p120-Catenin Protein Family”. 1773: 59-68. (Guest Co-editor with Dr. Alpha Yap). Kelly KF and Daniel JM. POZ for Effect – POZ-ZF Transcription Factors in Cancer and Development. (2006) Trends Cell Biol. 16: 578-587. Defossez PA, Kelly KF, Filion G, Magdinier F, Menoni H, Nordgaard CL, Daniel JM and Gilson E. The human enhancer-blocker CTCF interacts with the transcription factor Kaiso. (2005) J. Biol. Chem. 280:43017-43023. Spring CM, Kelly KF, O’Kelly I, Graham M, Crawford HC and Daniel JM. The catenin p120ctn inhibits Kaiso-mediated Transcriptional Repression of the β-catenin/TCF target gene matrilysin. (2005) Exp. Cell Res. 305:253- 265. Kim SW, Park JI, Spring CM, Sater AK, Ji H, Otchere AA, Daniel JM and McCrea PD. Non-Canonical Wnt signals are modulated by the Kaiso transcriptional repressor and p120-catenin. (2004) Nat. Cell Biol. 6: 1212-1220. Kelly KF, Otchere AA, Graham M and Daniel JM. Nuclear Import of the BTB/POZ Transcriptional Regulator Kaiso. (2004) J. Cell Sci. 117: 6143-6152. Rodova M, Kelly KF, VanSaun M, Daniel JM and Werle MJ. Regulation of the Rapsyn promoter by Kaiso and δ-catenin. (2004) Mol. Cell. Biol. 24: 7188-7196. Kelly KF, Spring CM, Otchere AA and Daniel JM. NLS-dependent nuclear localization of p120ctn is necessary to relieve Kaiso-mediated transcriptional repression. (2004) J. Cell Sci. 117: 2675-2686. Daniel JM, Spring CM, Reynolds AB, Crawford HC and Baig A. The p120ctn-binding partner Kaiso is a bi-modal DNA-binding protein that recognizes both a sequence-specific consensus and methylated CpG dinucleotides. (2002) Nucleic Acids Res. 30: 2911-2919. Kim SW, Fang X, Ji L, Paulson AF, Daniel JM, Ciesiolka M, van Roy F and McCrea PD. Isolation and characterization of XKaiso, a transcriptional repressor that associates with the catenin Xp120ctn in Xenopus laevis. (2002) J. Biol. Chem. 277: 8202-8208. Daniel JM, Ireton RC and Reynolds AB. Monoclonal antibodies to Kaiso, a novel transcription factor and p120ctn-binding protein. (2001) Hybridoma 20: 159-166. Thoreson MA, Anastasiadis PZ, Daniel JM, Ireton RC, Wheelock MJ, Johnson KR, Hummingbird DK and Reynolds AB. Selective uncoupling of p120ctn from E-cadherin disrupts strong adhesion. (2000) J. Cell Biol. 148: 189-201. Mariner DJ, Sirotkin H, Daniel JM, Lindman BR, Mernaugh RL, Patten AK, Thoreson MA, Kucherlapati R and Reynolds AB. Production and characterization of monoclonal antibodies to ARVCF. (1999) Hybridoma 18: 343-349. Daniel JM and Reynolds AB. The catenin p120ctn interacts with Kaiso, a novel BTB/POZ domain zinc finger transcription factor. (1999) Mol. Cell. Biol. 19: 3614-3623. Daniel JM and Reynolds AB. Tyrosine phosphorylation and cadherin/catenin function. (1997) Bioessays 19: 883-891. Reynolds AB, Jenkins NA, Gilbert DJ, Copeland NG, Shapiro DN, Wu J and Daniel JM. The gene encoding p120cas, a novel catenin, localizes on human chromosome 11q11 (CTNND) and mouse chromosome 2 (Catns). (1996) Genomics 31: 127-129. Reynolds AB, Zhang Z, Wu J, Daniel JM and Mo Y-Y. The novel catenin p120cas binds classical cadherins and induces an unusual morphological phenotype in NIH 3T3 fibroblasts. (1996) Exp. Cell Res. 225: 328-337. Daniel JM and Reynolds AB. The tyrosine kinase substrate p120cas binds directly to E-cadherin but not APC or α-catenin. (1995) Mol. Cell. Biol. 15: 4819-4824. Reynolds AB, Daniel J, McCrea PD, Wheelock MT, Wu J and Zhang Z. Identification of a new catenin: The tyrosine kinase substrate p120cas associates with E-cadherin complexes. (1994) Mol. Cell. Biol. 14: 8333-8342. Daniel J, Bush J, Cardelli J, Spiegelman GB and Weeks G. Isolation of two novel ras genes in Dictyostelium discoideum; evidence for a complex, developmentally regulated ras gene subfamily. (1994) Oncogene 9: 501-508. Bush J, Franek K, Daniel J, Spiegelman GB, Weeks G and Cardelli J. Cloning and characterization of 5 novel Dictyostelium discoideum rab-related genes. (1993) Gene 136: 55-60. Daniel J, Spiegelman GB and Weeks G. Characterization of a third ras gene, rasB, that is expressed throughout the growth and development of Dictyostelium discoideum. (1993) Oncogene 8: 1041-1047. Kwong L, Xie Y, Daniel J, Robbins SM and Weeks G. A Dictyostelium morphogen that is essential for stalk cell formation is generated by a subpopulation of pre-stalk cells. (1990) Development 110: 303-310.